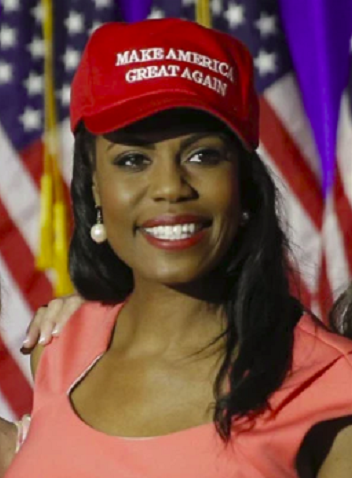 By Cherese Jackson on August 22, 2018 Comments Off on Goodbye, Omarosa! Bye, honey. Goodbye. Good riddance! Omarosa maintained that she resigned, but it was later revealed that she was released from her duties. This was another moment of clarity for her critics who have slammed her “efforts” by calling her an egotistical hustler, opportunist, and sellout. Initially, Trump claimed that he had nothing to do with the former reality star’s dismissal, but as soon as she started sharing recordings of conversations from the Oval Office, he quickly backtracked and even called her a dog. Yet, few within the black community rushed to her defense, only mentioning it to voice their disdain for Trump’s method of attack. Her falling out with Trump and the decision to now call him a racist is not enough for many African-Americans to renew her “black” card. They are firm in their stance that screams, “Goodbye, Omarosa!” As far as critics are concerned, the former “The Apprentice” star wanted a title, by any means necessary; even if it meant aligning herself with a racist to get it. Despite the rapport she believed they had, the reality is Omarosa was a black woman working with a white supremacist who cozied up to other white supremacists. Just check the tweets, Trump has long proven himself to be a disloyal narcissist and by joining with him she pushed the black community further away from her. Omarosa is a fame junkie and money chaser who will devourer any and all who stand between her and that which she craves. Even her latest actions, the release of tapes, do not prove her supposed intentions of helping the black community. Instead, it shows them that she is nothing more than a “Trump in a dress.” The same mean, bullying, self-interested, self-aggrandizing and rapacious that caused her to gain notoriety on “The Apprentice” are the exact antics that earned the seat she held for the current administration. In her book, she said Trump was her friend. How needy does one have to be to think that he has the qualities to be a true friend? He probably never liked Omarosa. She was always competition for the spotlight with her outsized personality. Trump brought her on the first season of “Trump’s Presidency” simply to boost the ratings. Admittedly, this has definitely been one of the most watched reality shows of all times. Trump bragged that he was going to surround himself only with the best and most serious people. Omarosa and the rest of the world should have known he did not mean that he would find the most knowledgeable experts in various fields, like education, environment, housing, and energy, or, in the case of Omarosa, communications and African-American outreach. No, for Trump the “best” means those who drool over him, pledge loyalty to him, and lie for him.